Domaine de Montcalmès is a small production (avg. 4200 cases/year) family-run domaine in the Côteaux du Languedoc in Southern France. It is situated about 30 km northwest of Montpellier and lies within the Terrasses du Larzac AOC. The young and highly-talented winemaker, Frédéric Portalié, earned his chops with neighbor Laurent Vaille at Grange des Pères, and with syrah master Alain Graillot in Crozes-Hermitage. 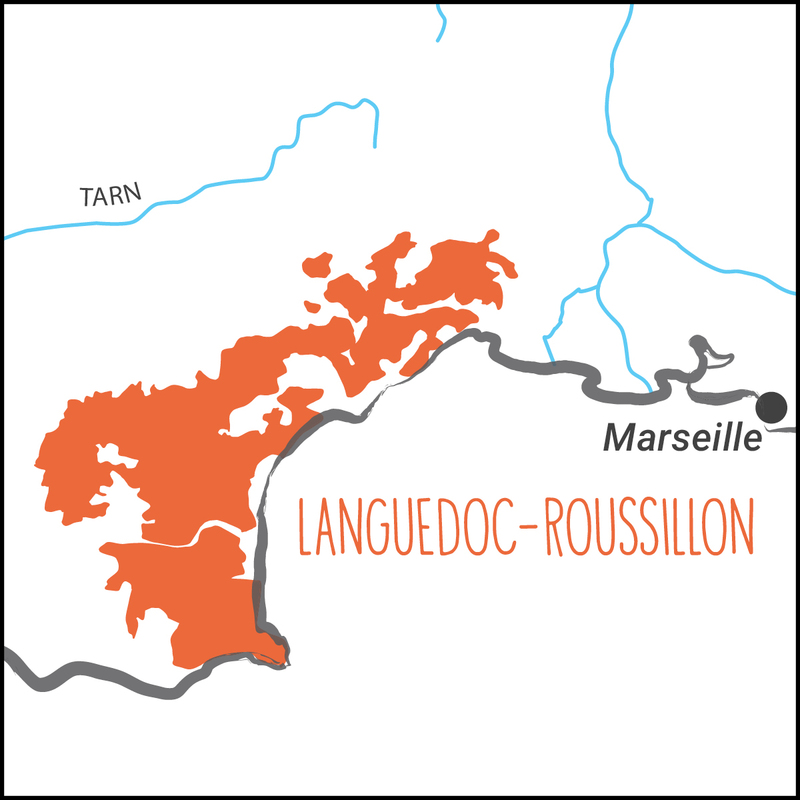 The domaine makes only two wines, a Terrasses du Larzac from a blend of Syrah (60%), Grenache (20%), and Mourvèdre (20%); and microscopic quantities of a Marsanne-Roussanne (50%/50% ) blend which is classified Côteaux du Languedoc (the AOC is red only). The domaine is certified organic, with corresponding viticulture. The vines are pruned using cordon de Royat, the vineyards are plowed and manually green-harvested, and the yields are restrained at 20-25hL/ha. Each cépage of the Terrasses du Larzac is separately vinified. The grapes are completely destemmed and crushed, then directly pressed and fermented over indigenous yeasts for about 30 days, with periodic pigeage. The wines are separately aged in used oak barrels (1, 2 and 3 years old, from DRC) for 24 months, then assembled in tank for two months. The wine is bottled unfiltered with the waning moon.